Having studied in Cambridge, where tourists are made fun of for asking for directions to ‘the University’ (silly tourists! How could they not know that Cambridge University has many many mini-university sites, from colleges to departments and administrative buildings), actually having one self-enclosed campus to explore at EPFL is a new departure for me. The multitudes of cafés, shops and student services may be a standard on university campuses around the globe but I really think the physical community adds to the spirit of communal learning and sharing of information at EPFL, by fostering friendship between colleagues and networking between friends. 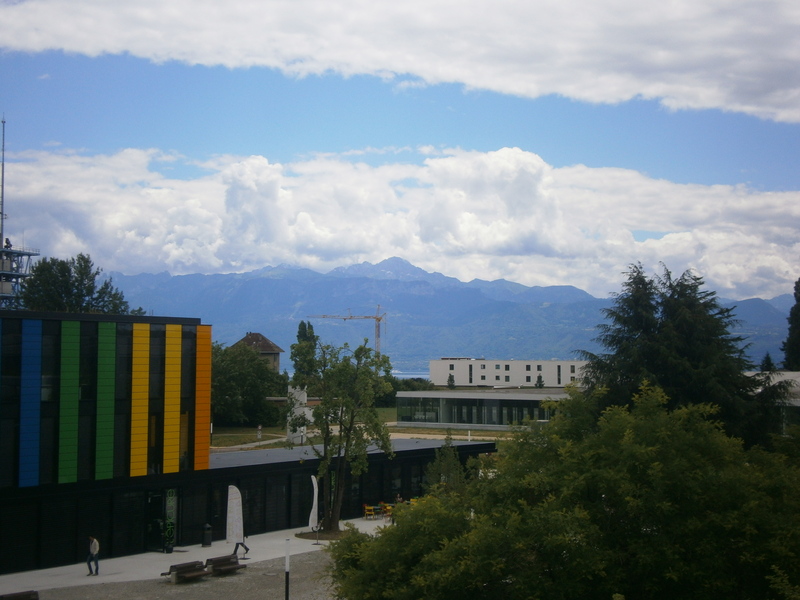 In other aspects EPFL is set apart from other universities by way of its ‘Swissness’-where else in the world would a building be named after a watch company, or would you look up to see the Alps seemingly in every direction? And I do wish the custom of having a cheese, fruit and bread market every Monday morning would catch on elsewhere. Similarly, there is a typically European emphasis on good food, with plenty of time at lunch to eat or even have a glass of wine the norm. And even in the summer months with few students still around, there are still things to see and do around campus, from an exhibition on the books of the future at the aforementioned Rolex Learning Centre, to taking a ride on a driverless car! One feature of EPFL would make any Cantabrigian feel at home though: a strong biking culture, with the provision of free borrowable bicycles on the CampusRoule scheme! 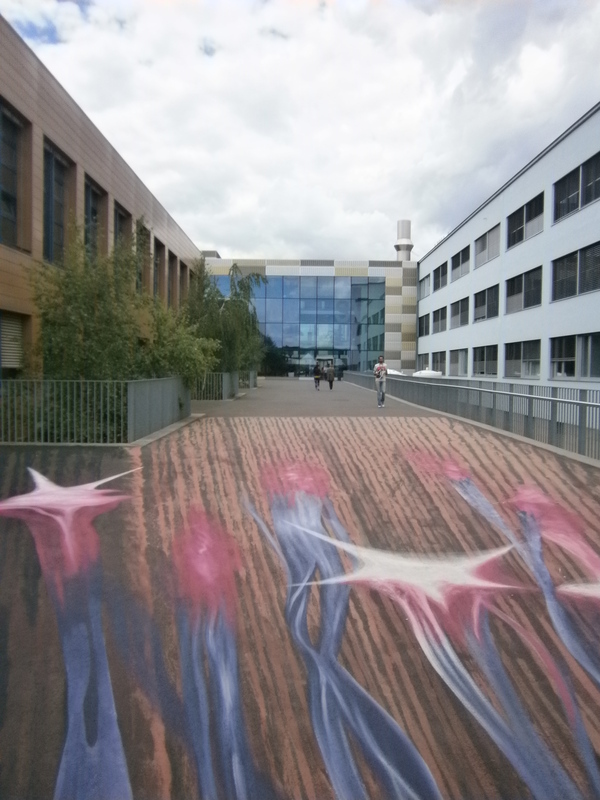 This entry was posted in EPFL Campus and tagged EPFL, work on 6 August 2014 by caitriona19.